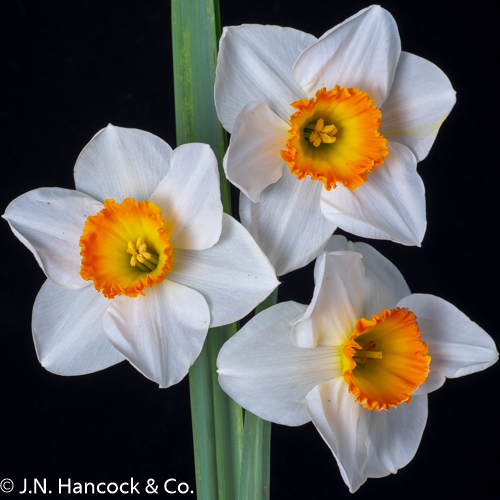 An eye-catching daffodil bred in Australia by Hancock’s. Spreading white petals show off the bowl-shaped yellow cup with a ruffled orange rim. Named at Hancock’s 2018 Farm naming competition. Early-mid.